23rd November 2010. Walton Colliery Nature Park. Yorkshire Water Services Ltd has been fined £600,000 after an ageing sewage pipe burst and killed hundreds of fish in a Wakefield lake. 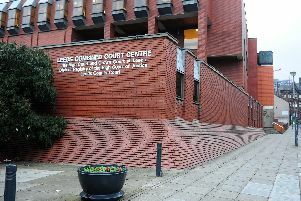 The company was sentenced at Leeds Crown Court on Tuesday 19 January after pleading guilty to one charge of causing a water discharge that was not authorised by an environmental permit. Yorkshire Water was also ordered to pay investigation and prosecution costs of £24,000 to the Environment Agency, which brought the prosecution following a pollution incident at Walton Colliery Nature Park in October 2013. At an earlier hearing, the court heard that sometime on or before 5 October 2013 a rising main sewage pipe from the company’s Shay Lane pumping station burst and raw sewage flowed into Drain Beck, which feeds a fishing lake in Walton Park which itself flows into the Barnsley Canal. Over the following days more than 860 dead fish were removed from the lake and the canal, which are stocked by the Walton Angling Club. Many more fish were either eaten by gulls or sank to the bottom of the deep lake, so the exact number of fish killed is not known. Water samples confirmed that the pollution was significant enough to be fatal to aquatic life. In April 2014, a survey found that the main lake and canal were almost devoid of fish. The survey concluded that restoration would take many years. In March 2015 the lake had sufficiently recovered for a restocking programme to begin, paid for by Yorkshire Water, but it will be a number of years before the fishery recovers to its pre-incident condition. The court heard that there had been four bursts on this rising main in the previous two years, and on each occasion Yorkshire Water had put the failure down to age deterioration of the pipe. His Honour Judge Kearl QC found that the company had been negligent and the incident had caused significant pollution. The company was given full credit for its guilty plea and its response to the incident. The rising main has now been replaced. Mark West, environment management team leader at the Environment Agency, said after the case: “Utility companies have a responsibility to properly manage their infrastructure and ensure that their operations do not put the environment at unnecessary risk. “This pollution incident had a significant impact on the ecology of the lake and the canal and it could have been avoided had the company taken action to replace the pipe following earlier bursts. “Aside from the devastating loss of fish, this incident has had an impact on the lake that will last for some time. In response to the verdict, a Yorkshire Water spokesperson said: “Protecting the environment is of crucial importance to Yorkshire Water and our pollution performance has been recognised by the Environment Agency as industry leading. “This was also acknowledged by the Judge in his summing up of the Shay Lane case. “Today’s judgement in no way reflects the performance of Yorkshire Water as a whole and we are deeply sorry about the incident in Shay Lane in Walton. “We work every day to manage our water environment across Yorkshire and we care a great deal when our assets don’t perform as we would expect. “We began on site in Walton in November to invest around £1 million to replace the pipe which burst and caused this incident to try to avoid this happening again. “We are a large operational business that provides crucial services to around five million people across the Yorkshire region.